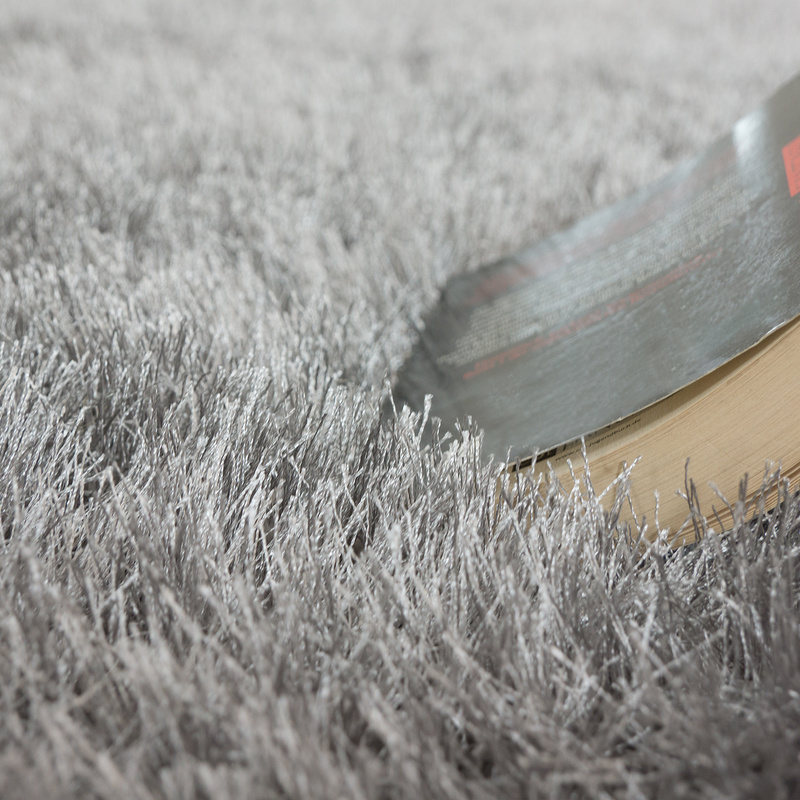 Looking for something cuddly, soft and cosy? 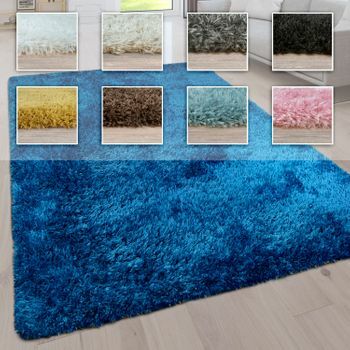 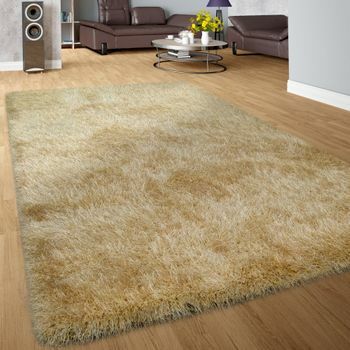 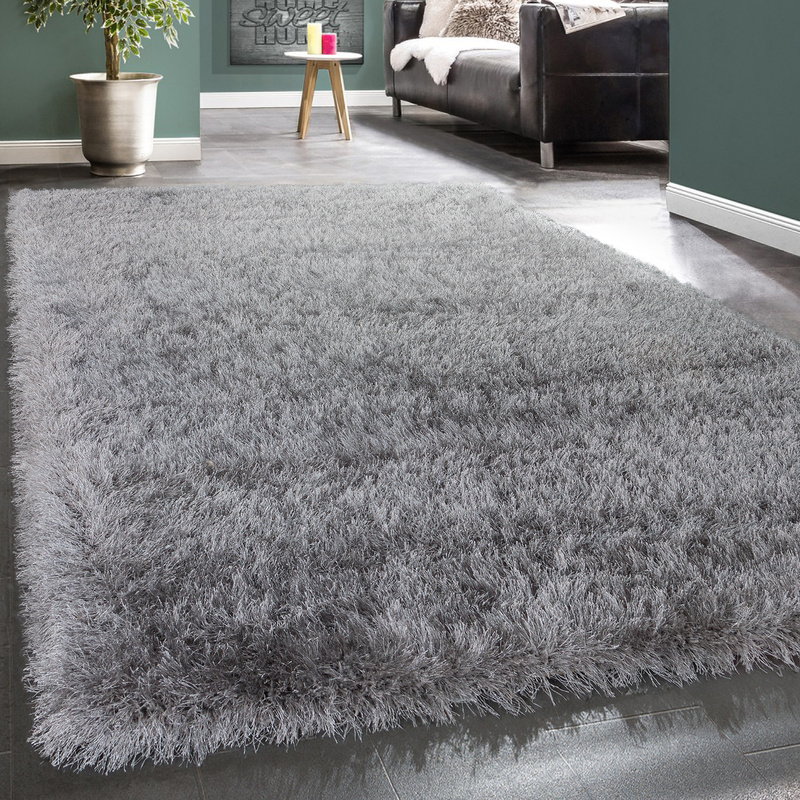 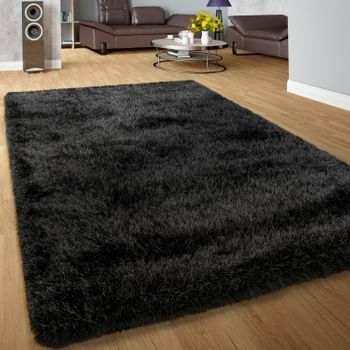 This shaggy rug could just be your new favourite! 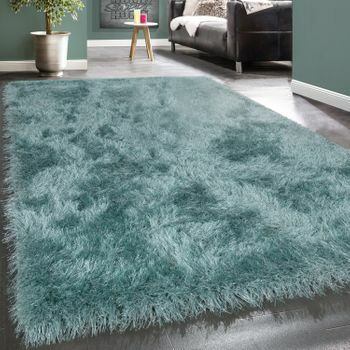 The glossy fibres made from resistant polyester create an elegant shimmer which is set off even better thanks to the delicate pastel colours. 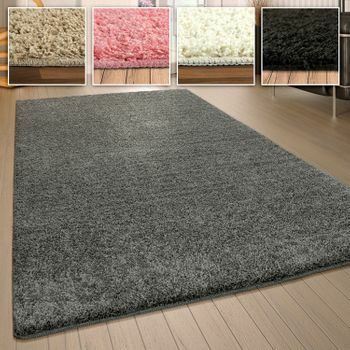 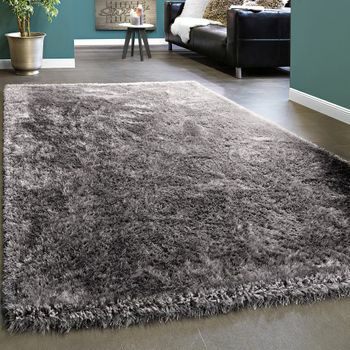 In elegant light grey the deep-pile rug lets you add stylish accents. 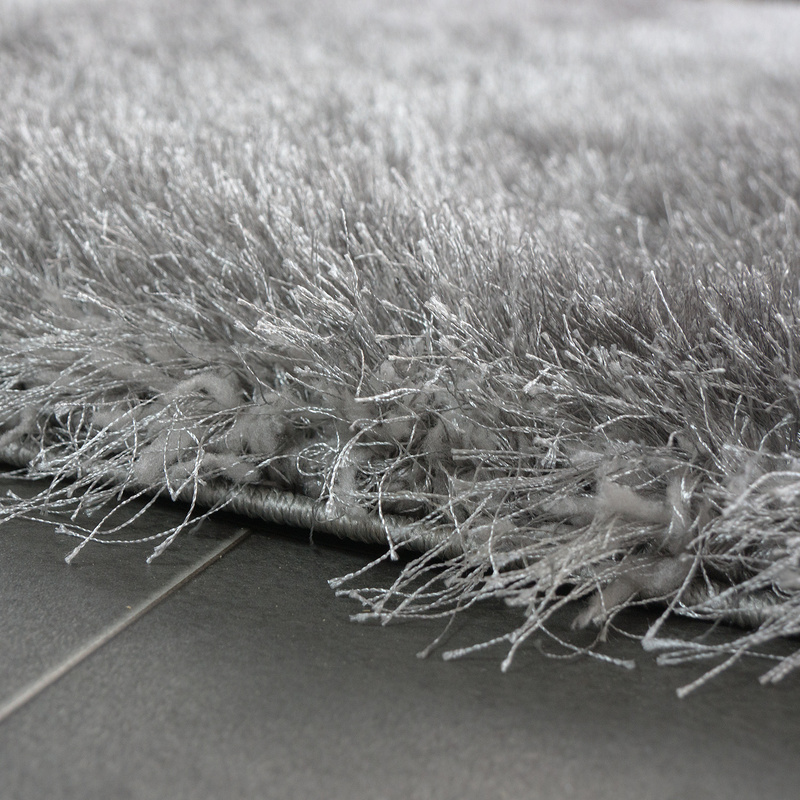 Of course, the rugs are certified in accordance with the Oeko-Tex Standard 100 Standard. 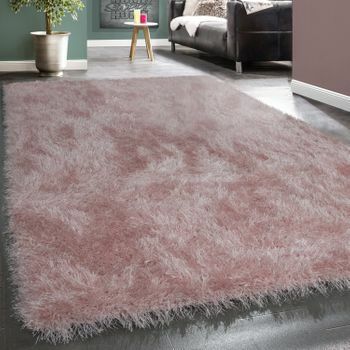 Fluffy pillows and delicate curtains in matching pastel tones complement the look. 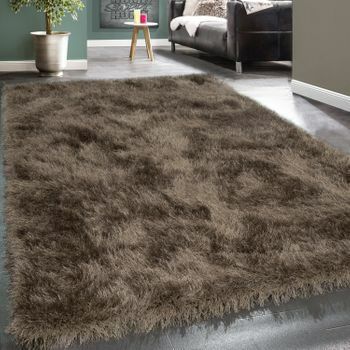 Large candles create a warm light and invite you to relax. 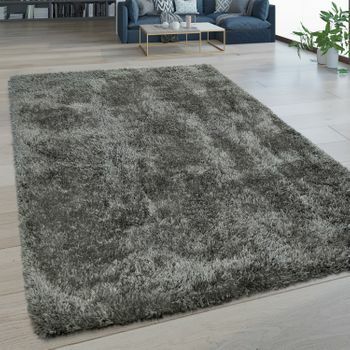 Accentuate the elegant side of the grey shaggy rug with abstract wall decoration or cool accessories made of stainless steel and concrete. 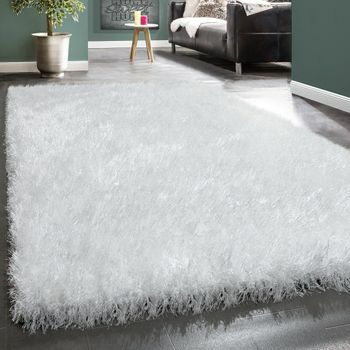 Our tip: the fluffy rugs go wonderfully in a cosy bedroom or create a beautiful feel-good atmosphere in your living room.